Our philosophy is simple: we believe that affordable accommodation doesn't have to mean lower quality. We are a young hostel company based in Barcelona created by travellers for travellers and we work every day to offer our guests more than just a cheap bed at our Hostels in Barcelona. 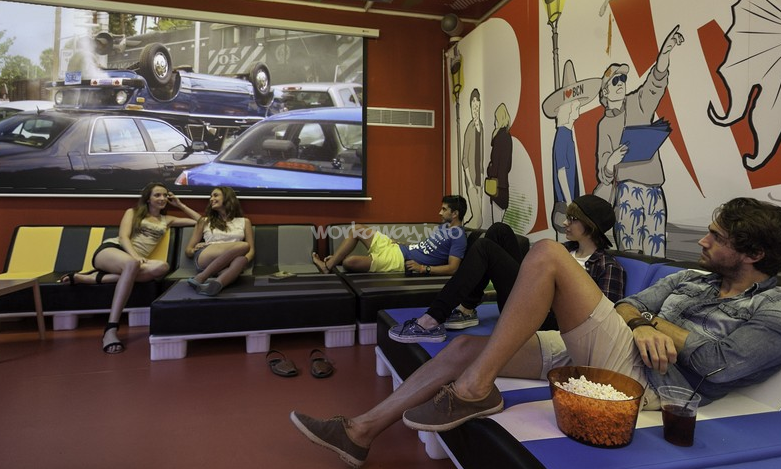 Guests at the hostel share a cozy chill-out lounge with TV, projector and videogames. Bar with food and drinks, a fully equipped communal kitchen, a spacious terrace, outdoor jacuzzi, unlimited internet use (including your room), and computers. We have two hostels,one located right in the city centre, the other 10 minutes from it by metro, easy to walk to many local attractions – Plaza Catalunya, Gaudi buildings, gothic area, Ramblas- easy to get to the beach, known for its recently renovated architecture. Both hostels are perfectly communicated by metro and bus to everywhere. We need activity leaders to help in the public relations and events department. Creating a good atmosphere and a positive vibe. Promoting and informing guests about nightly activities. Putting up posters for nightly activities. Taking our guests out to party. We go to the best clubs in Barcelona for free! We prefer that you speak a good level of English. We are looking for people who are very communicative, positive, dynamic and energetic. We offer Workawayers accommodation at the hostel. A comfortable bed in our hostel. Your stuff is always safe, no need to bring your old padlocks. Keycard access for the main door, floor doors, your room's door and your personal locker in the room. 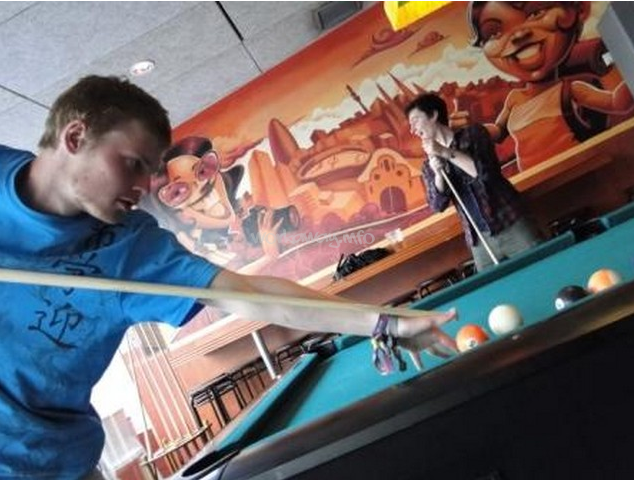 This hostel is run on lots & lots of love, fun and… read more activities!! During my one month stay I made lifetime friends, meet some epic people and have many amazing memories, I wish I could have extended my stay but I will be back very very soon :) I would highly recommend volunteering here, it is a once in a lifetime opportunity and you will learn so much here from leading activities and chatting with the guests to help cooking paella for over 20 people!! Oh god I really miss this beautiful place full of positive energy!! Denise couldn't have been nicer – I‘ve had a deep talk with her right on the first day I met her. Thank you so much for everthing you always put so much effort in everything and you inspired me so much when you showed us how to lead activities on my first shift! I had the best 7 weeks volunteering at the hostel, it was such an amazing experience that really pushes you to be a more confident and social person. It was awesome only working at night because it meant I had full days to explore the city and tried to really make me most of the time in barcelona which is a city I fell in love with. 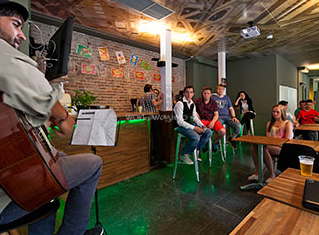 The location… read more of the hostel is so convenient and right in the action of it all. The work was pretty simple, you just have to be bubbly and enthusiastic. This job is for someone who loves to go and party as well! Everyone was amazing, I met some great people which I am so thankful for. Everybody is really welcoming and you never feel lost. The only thing I can say is that it doesn’t really state the accommodation conditions in the description, or at least I was caught off guard when we were shown our beds in an extremely messy and crowded 10 bedroom dorm. I soon found out that it was hard to keep everything in an orderly fashion with that many people and all their belongings crammed in th room. That being said you kind of do get used to it and the awesome job overalls that. I was really sad to say goodbye, I definitely could have stayed longer!!! I’m so thankful that I got the opportunity to work in such an incredible hostel and it is an experience I will never forget! Kelvin was great helping out at our hostel! He is very communicative with great energy also he's awesome with creating social media content. I was here for 2 months from late Jan - early April. Let me tell you that 2 months was too short. This position was amazing. The staff was like family. The guest you meet will become connections for a lifetime. The position is fun but also demanding. Maintaining a balance between having a good time and being… read more professional. The PR position involved creating a lively atmosphere for guest. 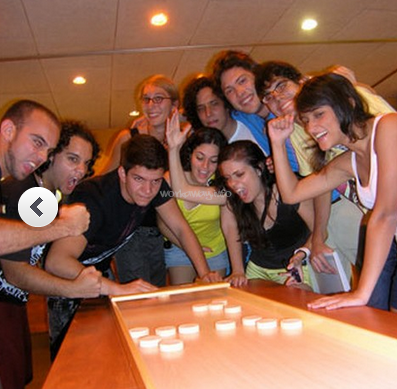 This hostel really cares about their guest and wants them to have an amazing time and socialize with others. You start at 20:30 and everynight there are different activities and clubs to go to. You will be responsible for organizing events such as party bus and some light cooking for free Friday dinners. This position is for extroverts or those looking to become more social. If you are timid and don't like conversing with people this is not for you. If you like staying up late and going out to clubs than this is perfect. You will usually end up staying out all night and sleeping during the morning. I'd make it for breakfast 70% of the time, which ends at 11am. This workaway was one of the best experience of my life. Barcelona is an amazing city with an incredible positive energy that everyone who visits feels and misses when they leave. It allowed me the time to work on my website blog hostelvegan. I'm so grateful to have worked at this hostel. This was my first work away experience and I hope others can live up to this hostel. The job was so much fun and practical. The staff became my family and they will be lifelong friends. 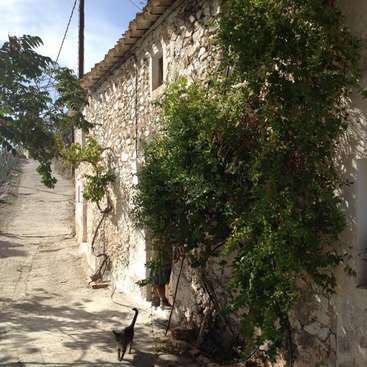 It's in a great location and is an amazing hostel. Always fun things going on and great memories were made. I would recommend working here its such a great place. Federico was absolutely amazing! He is responsible and trustworthy and did so much more than we expected! He was so friendly and easy going from the moment we met, a natural comedian. We can only recommend hosting him. We wish him the best of luck for his travels and we hope to see him again in the future. Next time you are back we are not letting… read more you leave ;) We will miss you Fede!!!! i stayed for a month and a half and had lots of fun! Denise and everyone and i mean EVERYONE from the hostel were very welcoming since the begining, the work is good and you can have lots of fun and meet lots of people while doing it, the hostel offers different activities every night and they are all very well organized, the instructions for work… read more were very clear and i can say i enjoyed it since the first day, made many friends and had amazing nights. Since the work is mainly during the night you can have lots of free time to do whatever you want in a beautiful city like Barcelona, the other staff members, PRs and Interns were really nice to me and we they would take part in the night events making it super fun. 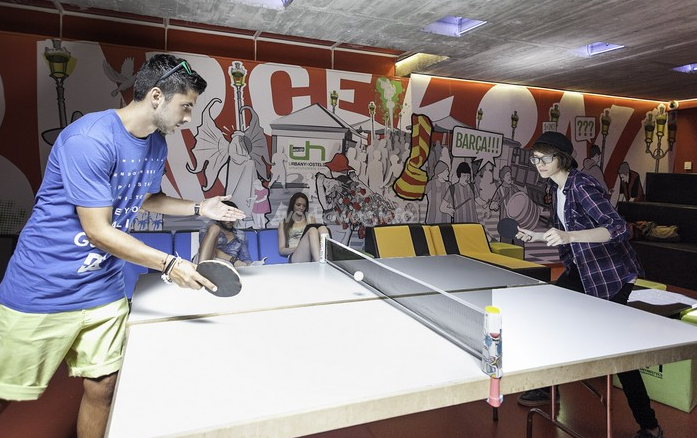 The location of the hostel is also very good right in the middle of the city and you get free entry to the best clubs in Barcelona, if you are looking for a nice place to stay where you can meet people, party and feel like in a family, this is your place. Thank you very much to everyone!!!! It's been a while since I volunteered at this hostel, about 6 months. But I can easily say, the experience I had there is something that I think about every single day. I had an absolutely AMAAAAZING time working at the hostel. If you're looking to have a crazy time, this place is it. The work we had to was totally manageable. Especially for all… read more the benefits you get for helping out. Most of the people working at the hostel were super friendly and nice. I met incredible people and made friends from literally all over the world. Don't second guess this place, it's the best. I volunteered here for almost three months and I can honestly say it was an amazing experience. Being able to live in a city like Barcelona and being treated as a family member from the first day I arrived was such a blessing. Getting to know people from all over the world and making friends for a lifetime is one of the things I like the most in… read more life and my time in this hostel was full of this. I learned so much about myself during this months by getting out of my comfort zone so I would encourage anyone who is thinking on volunteering to do so. After three months of volunteering I was offered a job to work in the hostel which allowed me to stay in the beautiful and extraordinary city of Barcelona. So for all of this I will be forever grateful with everyone in the family. Muchas gracias amigos y hasta ahora! GianFranco was the best workawayer we have ever had! Natural animator, positive, energetic and a fantastic person he was so amazing that we offered him a full time position. We hope he never leaves! If you are thinking about hosting him, do not hesitate, you will not regret it! Where do I begin? I almost forgot to write a review for the Hostel because I've just been living in the present ever since I left. My three months in Barcelona were the happiest moments I've had in a long, long time. Real happiness, the kind that fills your heart and convinces you nothing can go wrong, forever. I didn't know it was possible to be… read more so happy for so many days in a row. Even though they aren't present, the friendships I've made will be with me forever. Jenny - Benni - Merven - Lidia - Bernard - every single one of you has a good heart. I want to surround myself with people who are as good as you all are. LOVE YOURSELVES! The man I came to replace, he told me "everyone who's been here, said it was the best time of their lives." And when he left, he posted a long facebook message about how he had grown more in his time here than in his whole life before it. I feel the same way, people before both of us felt the same, and people in the future will feel the same. I'm just a completely different human being. I faced several separate fears, nothing can shake me anymore. The entire rest of my life is set on a more positive trajectory because of how much confidence and self-worth I've gained here. I want anyone who is considering this host to APPLY! Don't be scared, come with an open mind, and be ready to party a lot. It's hard to put into words how magical my experience at this hostel was. The work itself is a lot of fun, you can hardly call it work - meeting and partying with people from all over the world and going to some of the best clubs in Barcelona! 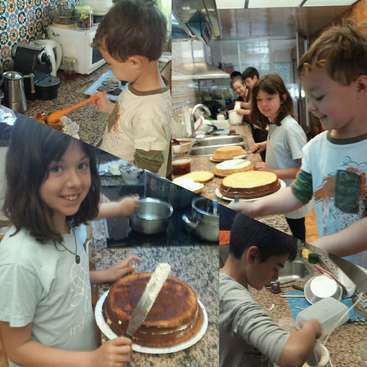 All of the incredible people I met made my time in Barca absolutely unforgettable; the guests and… read more especially the other staff and volunteers, who became my big crazy family! 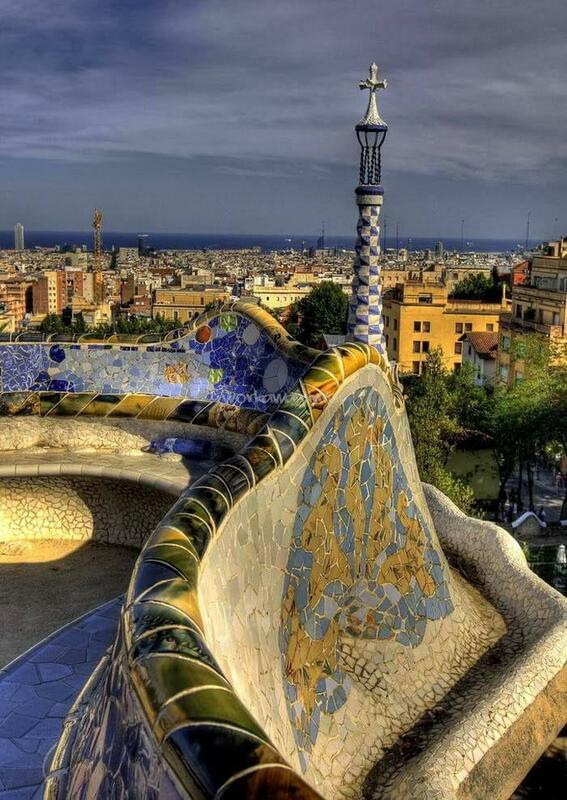 Barcelona itself is also amazing, there is so much to do and see, it's impossible to be bored. If you are a social person that loves meeting other people, this is the perfect position for you. I spent 2 of the best months of my life here and could not recommend this opportunity more! Absolutely amazing! This quite possibly may have been the greatest experience of my life. I met the most amazing people, and fell head over heels in love with the city. I made life long friends, and the other volunteers/staff and I became a family. I'll never forget all of the fun we had, and memories we made. This was one of the best months of my… read more life, and if you have the chance I highly recommend you take it. I had an amazing time volunteering at the Hostels and met AMAZING people who I will never forget. I became a family with the other PR staff (public relation staff) and will keep in touch with them for the rest of my life. 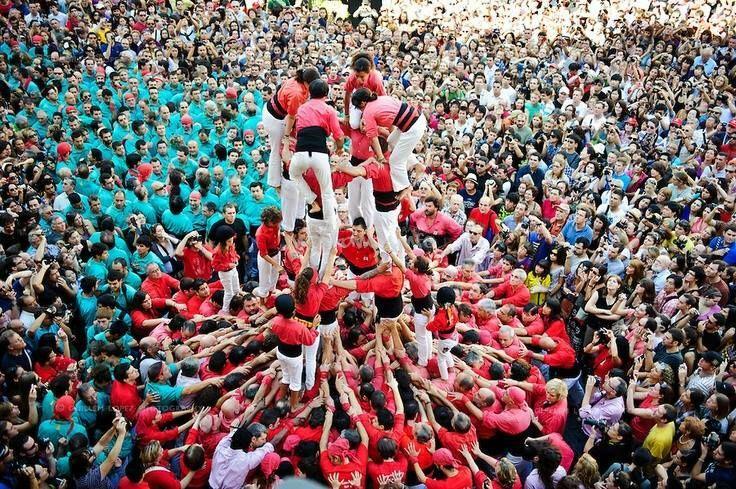 This job is a great way to not only see all of Barcelona, but is the best way to experience Barcelona's incredible nightlife.… read more Perfect for party-goers and outgoing people. I am short for words to describe how amazing were my two months living and working at this Hostel!!! All of the staff and guests were so incredible, a mixed bag of people from all around the world. I worked in the PR section, organising events (rooftop parties, beer pong tournaments, trivia nights, movie nights) socialising with guests, and making… read more sure that everyone in the hostel was smiling and having the best experiences possible in Barcelona. We had plenty of free time to explore this amazing city, then the work that was expected of us was so fun and rewarding. I made some life long friendships with the staff members, everyone was so like minded and we all looked after each other like a family. I really have nothing negative to say about my experiences here, it was my first workaway position and will be forever remembered as two of the best months of my life. 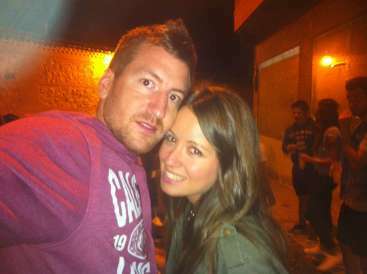 Be prepared, the partying gets a little crazy, after all it is Barcelonaaaaa!!!!!!! I only spent 1.5 month there and I know that if I have the chance again, it will be the first place that I'll be back. I have been working abroad in the hostels and bars for years but this one was so special for me. Hostel is the best hostel in Barcelona and the staff working at the reception, at the bar and the managers are the best I have ever… read more met so far. The job is so fun, all you need is to be willing to spend some time with the guests. Everyone is so positive and during my stay I had not even a single problem. Thank you guys for the great time I had there! Louise is been an amazing helper, super profesional, outgoing, positive. She speaks perfectly Spanish as well. No one will regret after choosing her. We really hope to have her back with us at some point. This was my first workaway experience and it was amazing! I was on the PR position which basically entails working with one other staff member on any given night making sure guests are having a good time in the evening by facilitating activities, games and organizing party buses to the clubs, it was a great way to meet people, explore the city and… read more extend my travels! The staff at the hostel are all super fun and welcoming, and the management is super accommodating, making sure we were always comfortable and informed. He worked within the Fun PR department, organizing events for the guests everyday of the week. After 2 months Daniel showed his experience within bar tending and soon started working at the bar a few times a week on his days off. After 3/4 months we offered Daniel a job at reception, there's… read more nothing better than an overly excited it also calm and friendly receptionist to make you feel at ease in a new city. Daniel works very hard, in fact he doesn't just volunteer to have a place to stay, he genuinely wants to leave having made a positive effect on the place he stays at. He created me events we hang tried before and was always working even when it was his day off!! We have had so many reviews for Daniel on our hostel websites, along with our hostel rating improving (just like he said it would). The staff will be sad to see him leave. To anyone looking to host Daniel, I believe that you will learn a lot from him and have a wonderful experience. He has a lot of kindness and personality to share for such a young man. 6 moths of memories that I will never forget. I volunteered at both of the hostels in Barcelona and I loved them equally. My job was at first within the PR/Party sector, but after a few months I started working the bar and a few months more, they offered me a job in the Reception. I'm writing this with my final month coming to an end and I'm… read more very happy with my experice. The whole team are like family to me, the managers, the staff, the cleaners, the delivery men, and of course the guests. I've learnt a lot about organisation, events management, bar work in a foreign country, responsibility of a 440 bed hostel on my own at night shifts, and much more. I recommend this post to anyone looking to enjoy themselves, but also learn and grow as a person also. Plus Barcelona is a magical city. This hostel was my first work away experience and it was amazing! Immediately I felt like I was part of a large family. The staff is lovely, the position reeeeeaaally good and the work is funny: it let you meet people from all around the world! Thanks to that experience I can say that I have friends everywhere! I spent 3 months working and living in this hostel. I had an incredible time! I met some of the most incredible people - staff and guests alike. I worked in the Public relations department and the hours are fair for the wonderful accommodation and incredible access to the city. The location is in the heart of everything and made my stay that much… read more more memorable. Laila stayed at the hostel for 2 months. She is motivated, hard-working and an enthusiastic extra member of the team. It was a pleasure to host her and I can highly recommend her to any host. I hope more people can enjoy her company in the future! I spent 2 months working at this hostel and it was the best time of my life! I worked in the public relations department which was so much fun! The staff is like family, accommodation is clean and comfortable and the atmosphere is very chilled. I would definitely recommend. Most amazing summer of my life! I worked at BCN Go for 3 months, and the staff was like family. I can't wait to go back to visit! 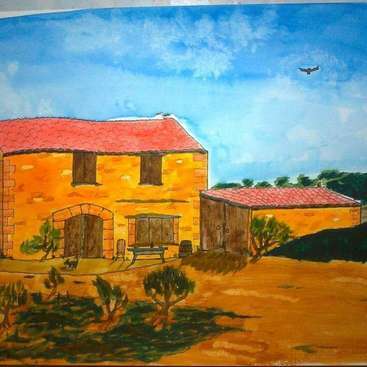 I stayed there for 2 months, the staff is very friendly,the hostel is clean,modern and practical. You can work either like"Public relation" at night or "info point"in the morning, this is just a few hours of work, you have all day to visit Barcelona which is a great city. I worked here for 2 months, and it was my first Workaway experience. I was the first to Workawayer to arrive, but others came later. There were 2 to 4 of us at any given moment. I worked at the information desk during the day. I gave out maps and directions mostly. It wasn't difficult to learn and actually quite fun. It was great for practicing… read more language skills. I really enjoyed spending time with the other Workawayers as well as with the staff and hostel guests. At night, the bar is the hot spot. I found the management team and staff to be helpful, fair, and flexible. My ideas were always considered, and I received regular feedback on my work. And there was always enough time to have fun outside of the hostel. The hostel is very nice and modern. The location couldn't be better. Both hostels are in the center. 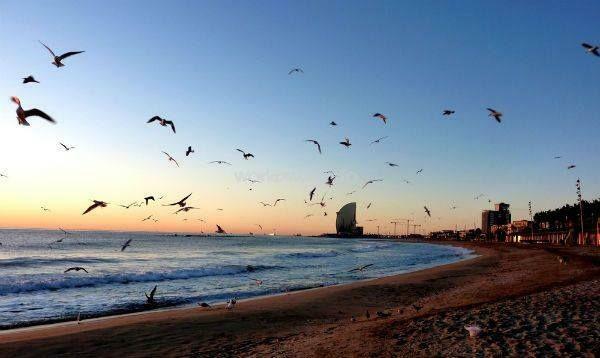 I absolutely loved BCN. It's a really cool city. Overall, I have no complaints. My experience was awesome, and I'd love to work in a hostel again. I wish that I could have stayed longer. I highly recommend this hostel. 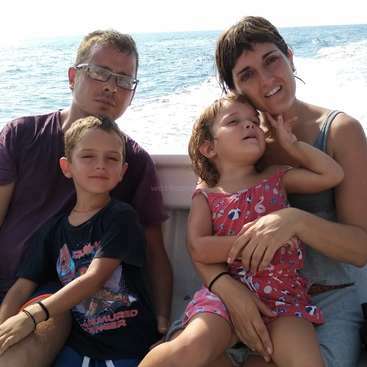 Language and cultural exchange with a family in Valls, near Barcelona,Catalonia.